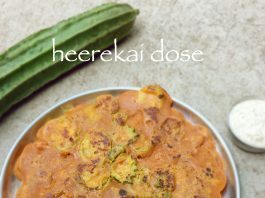 heerekai dose recipe | ridge gourd dosa recipe with detailed photo recipe. ridge gourd dosa is a instant dosa recipe prepared in many households of udupi, mangalore region. 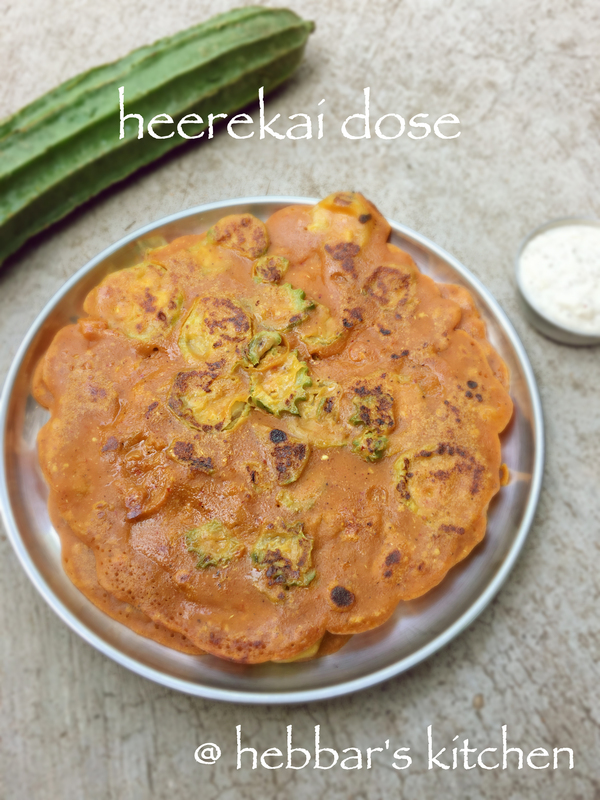 heerekai dose recipe | ridge gourd dosa recipe with step by step photo recipe. instant ridge gourd dosa is a popular dosa in many households of south canara region. 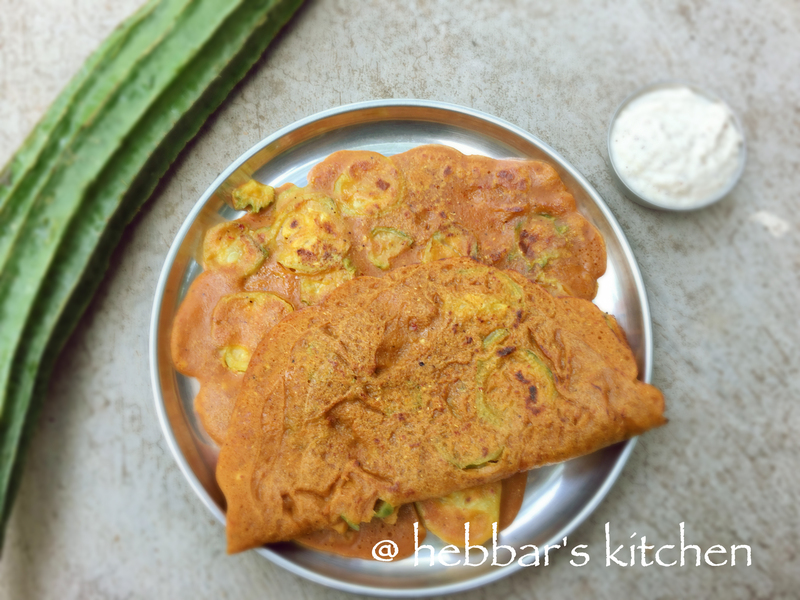 basically, this is prepared with ridge gourd thinly sliced and dipped in rice dosa batter. the batter is grounded with spices and jaggery which gives the rich colour to this dosa. 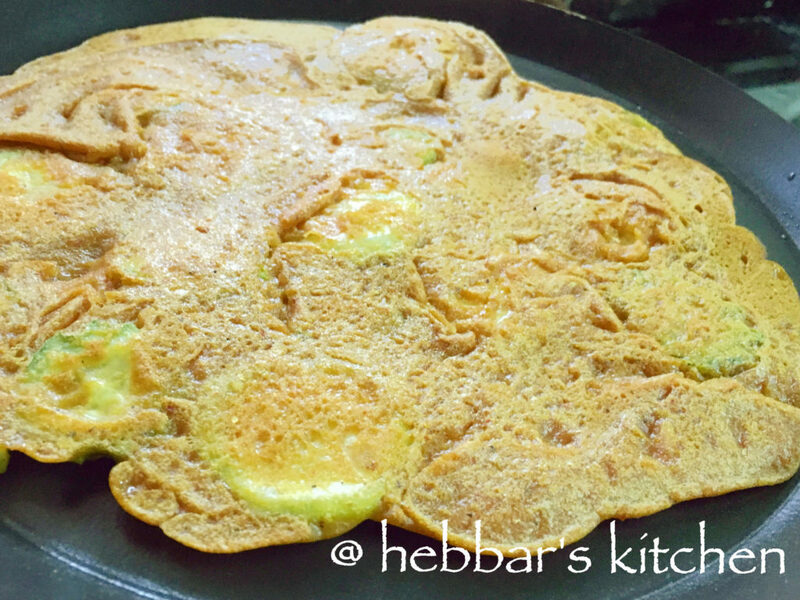 ridge gourd dosa or heerekai dose is my mother in laws favorite dosa recipe and she prepares it frequently. in fact, this is one of the recipe which is prepared and shared by her. many many thanks to and many more authentic recipes to come from her. most commonly, heere kai dosa is eaten with coconut chutney, but i enjoy this dosa as it is. you will feel the crunchiness of ridge gourd and spiciness of batter in each bite. after learning heerekai dose recipe, i have started to improvise this with other vegetable. i have started to prepare the same dose with vegetables like tomato, cucumber and even with egg plant. 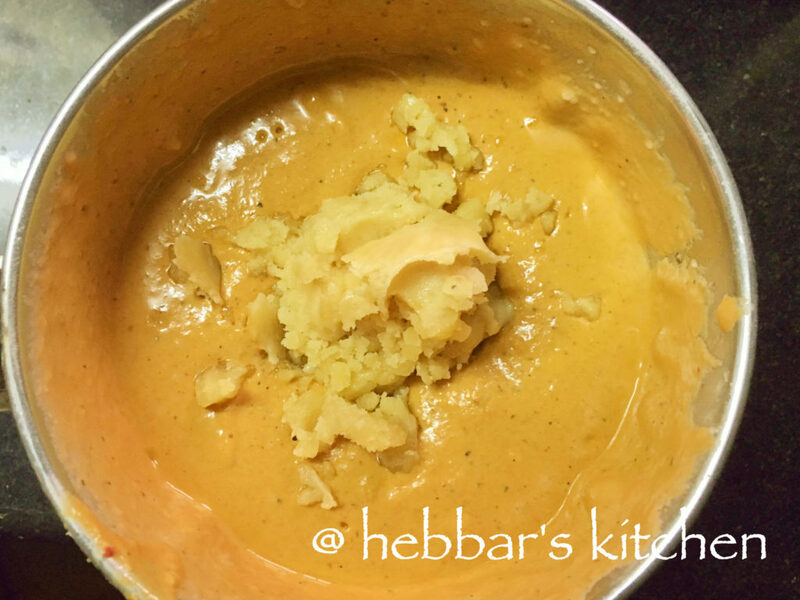 the key factor is here dosa batter which holds the vegetables together. my mother in law places each ridge gourd on dosa pan and then pours the batter on top of it. whereas, i take the easier way of preparing it similar to plain dosa or set dosa. i trust that you must be eager to learn this recipe. but before refer my other breakfast, snacks recipe and dosa recipe. especially my tuppa dosa recipe, raagi dosa recipe, plain dosa recipe, godi dosa recipe and maida dosa recipe. 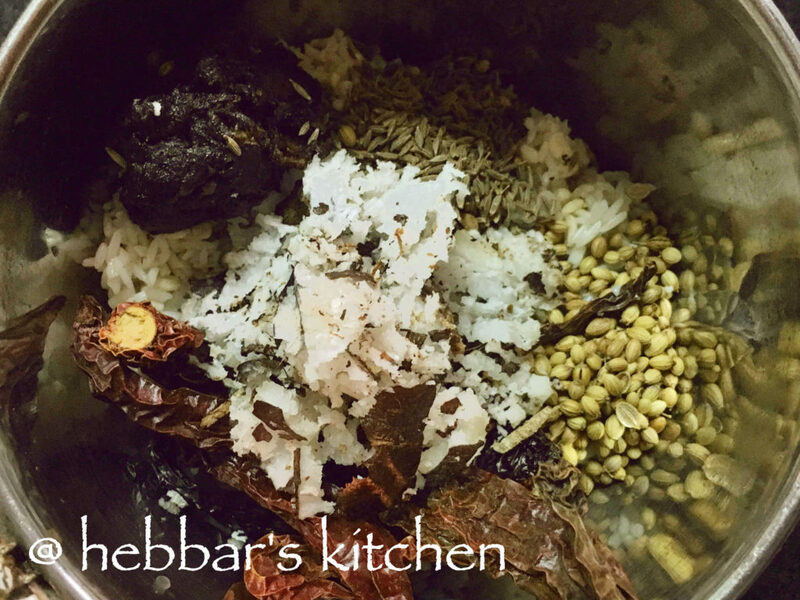 wash and soak rice, urad daal and methi seeds at least for 3 hours. 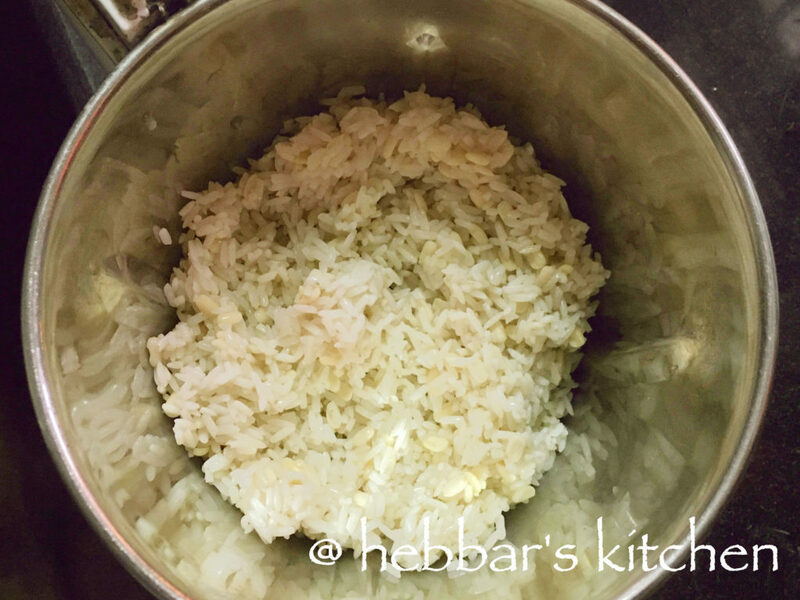 transfer the soaked rice in a blender. 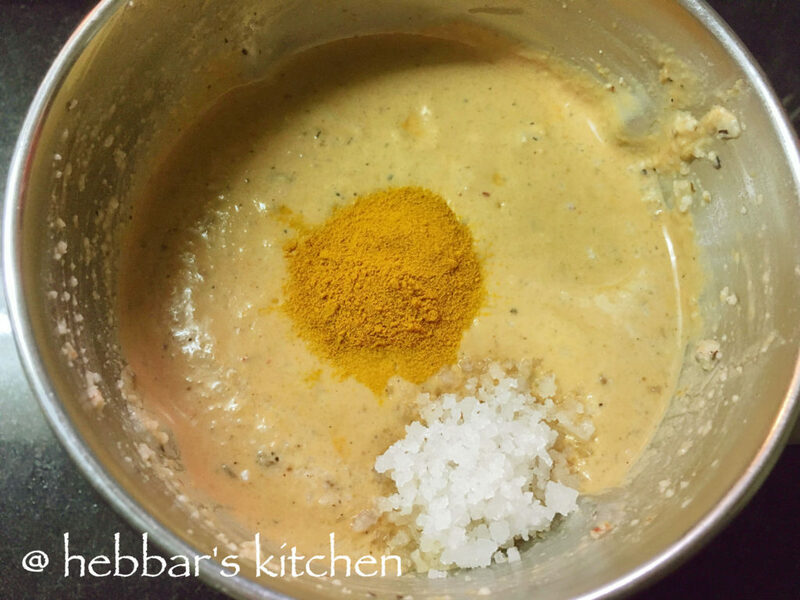 make sure you have taken all the ingredients and spices to make the dosa batter. 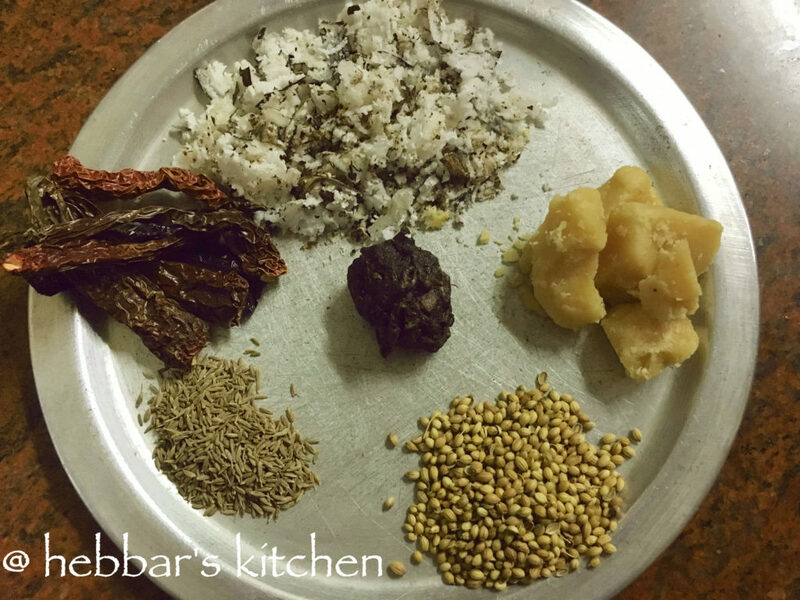 transfer all the spices except jaggery to the blender and grind them to a smooth paste. 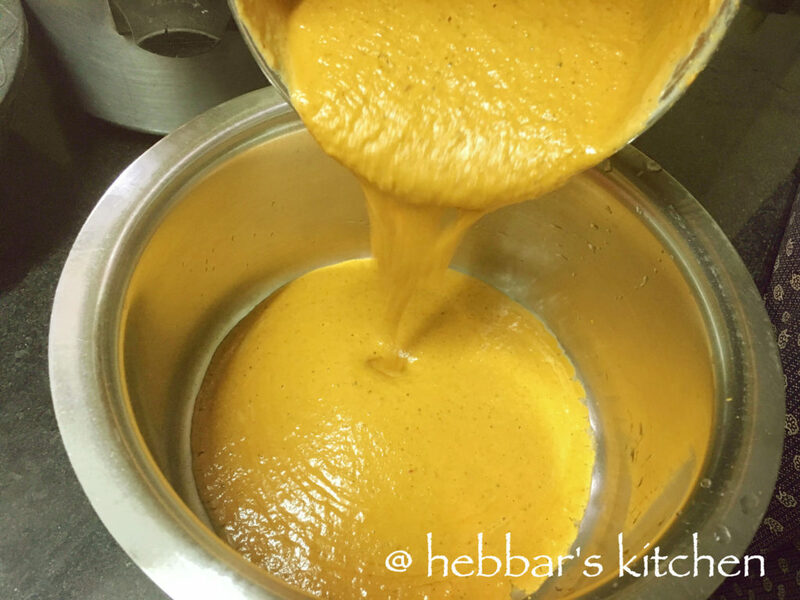 add salt and turmeric powder to the dough. grind nicely till paste consistency and remove from the jar to a bowl. wash ridge gourd and remove the skin from the top of the vegetable. cut in to thin slices. keep it aside. 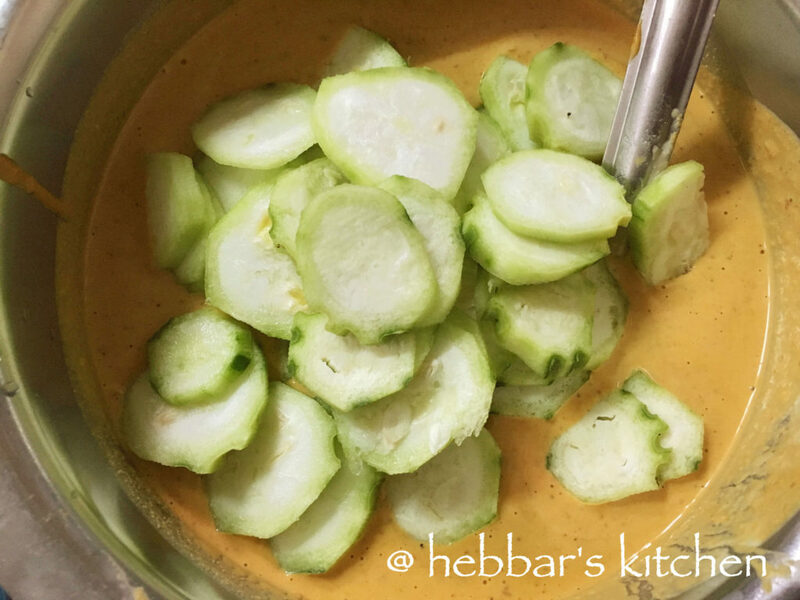 now mix the sliced ridge gourd to the batter. take a dosa and heat it in a medium to low heat. pour a ladleful of batter onto the tava. 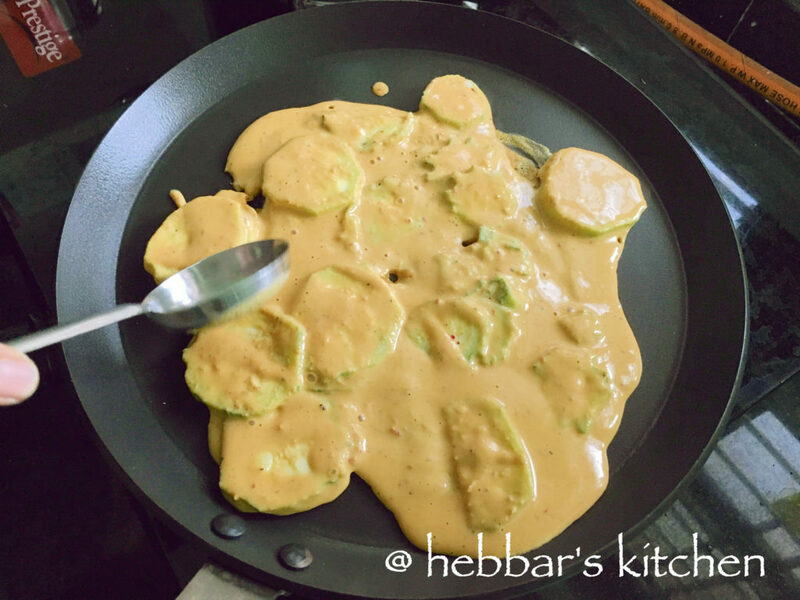 you can also, dip each ridge gourd slice in the batter and arrange them like dosa. sprinkle a tea spoon of oil and cover the dosa and cook for 1 to 2 minutes. ( till its brown). 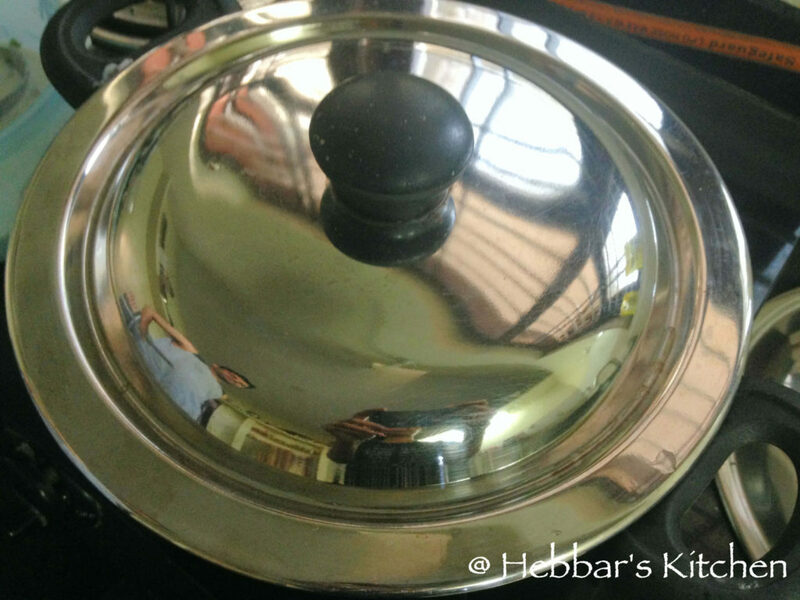 turn the other side of dosa and cook for 1 minute and remove from the pan. your ridge gourd dosa is ready. 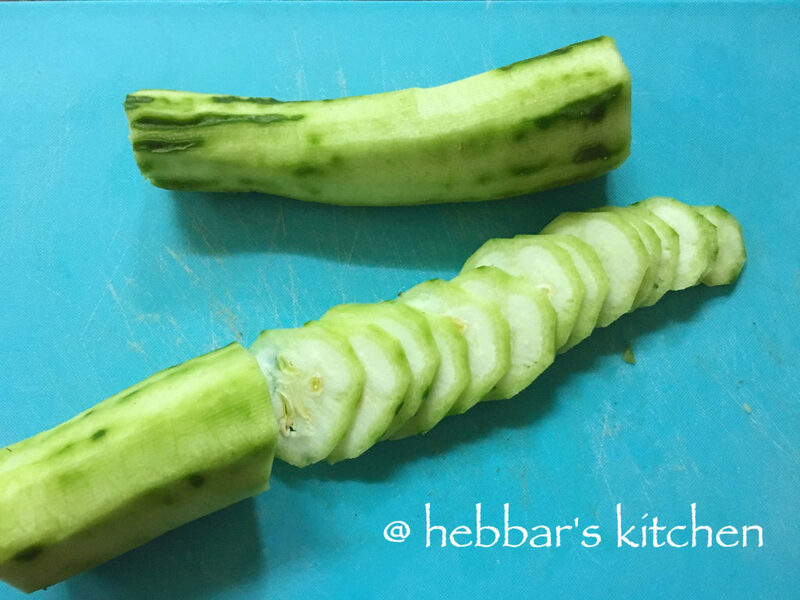 serve it with coconut chutney or have it as it is. cook the dose in a medium to low flame. 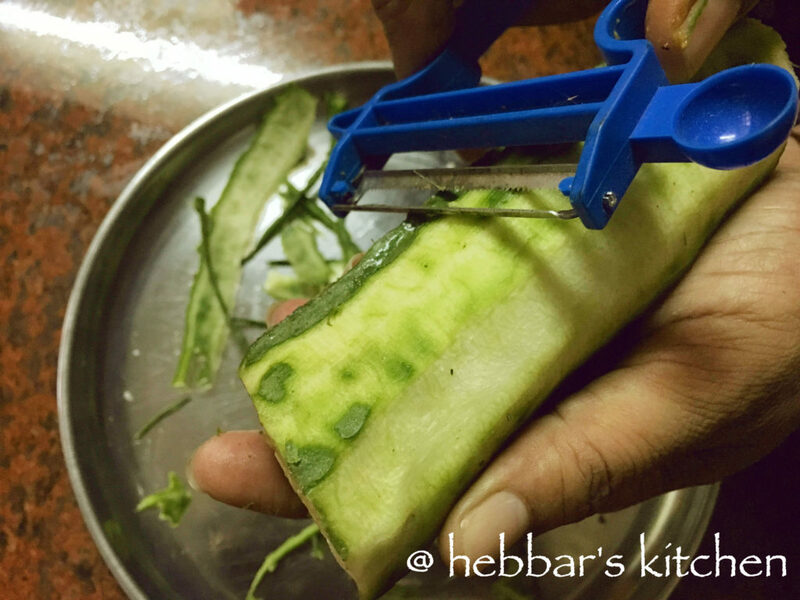 peel the skin of ridge gourd or heere kai. do not throw the skin as yo can prepare heerekai sippe chutney from it.